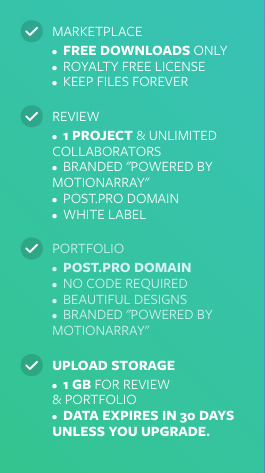 What Does Motion Array's Free Plan Provide? Included in the Free plan, you'll have access to as many of our free products as you'd like. 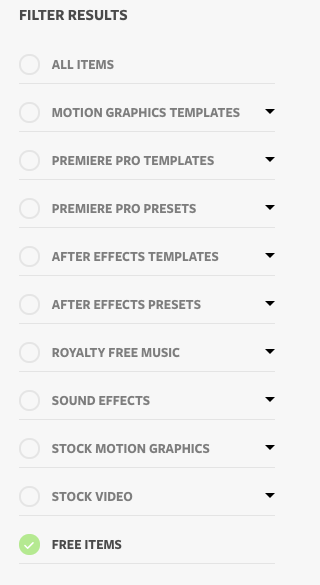 To find, them simply go to our marketplace and filter your search by selecting the "FREE ITEMS" button on the filter menu positioned on the left side of the screen. 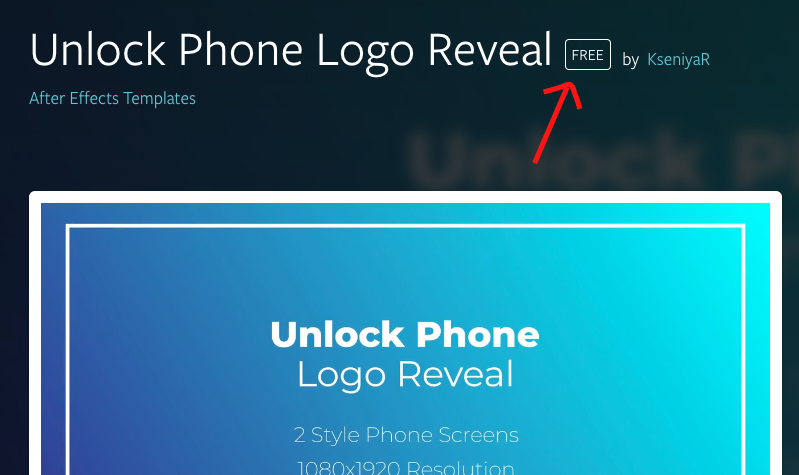 NOTE: To help you identify free products, look for the "FREE" label next to the product titles. 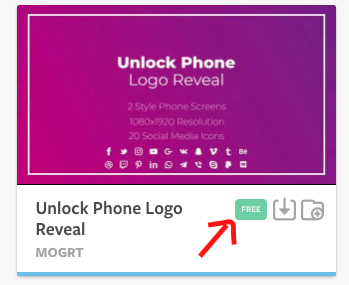 If at any time you would like to download a paid product, you can always upgrade to a paid membership, download the product you need, then downgrade back to the Free plan.